Pause for a moment and think on that. The reason for this is the length of the flight, Australia is a long way away from JFK international airport, and I believe you'll be crossing the international dateline too. What this means for you is at least 24 hours if not longer in a plane and maybe another 24 hours or more schlepping around in airports. And I'm not including customs and security screenings. And you're going to go through all of that again on the way back. So, if you're going to go to this, and I would like to be asked, (hint, hint) because I've never been to Australia, I'm advising you to plan to go for an entire week, if not two, because it takes 2 to 3 days to go and 2 to 3 days coming back. This will be less if you live, say for example, on the west coast of America, I'm assuming. So, wear extremely comfortable clothes. Might be a good idea to bring a spare set of clothes in your carry on. But, I would love to go. Airlines and airports are always annoying, but once you're there, it would be fantastic. 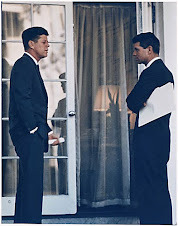 Reopen Kennedy Case (ROKC) is proud to announce the first JFK conference to be held at the Mercure, Melbourne this November. 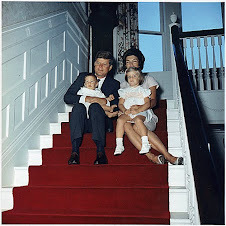 The JFK assassination could be considered a strictly American affair if not for the Super Power status it holds. When the US sneezes, the rest of the world may well, as the saying goes, catch cold. But when a US president is assassinated, the rest of the world catches on. Catches on that something is very, very wrong. Fifty-one years is too long waiting for justice in one of the biggest crimes of the last century. The internet has helped make the case a global phenomenon. There are pockets of interest in Canada, across Europe and here in the Antipodes. That interest translates into research, writing and lobbying efforts. In the UK, it has also translated into copying the annual conferences held by our brothers and sisters in the US - those diehards who continue railing against the tide. 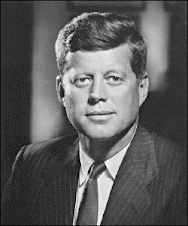 ROKC (reopenkennedycase.org) has announced experts well versed in assassination evidence from the United States, Canada, the United Kingdom and homegrown in Australia who will speak to attendees of the two day conference. Speakers include the world’s leading expert on the Secret Service, Vincent Palamara, and Australia’s own author of the book ‘Lee Harvey Oswald’s Cold War’, Greg Parker, as well as Gayle Nix Jackson, the author of the book ” Orville Nix: The Missing JFK Assassination Film”. Jim DiEugenio, all round assassination expert and renowned author and Sherry Fiester who wrote the highly praised ” Enemy Of The Truth”. With more speakers to be confirmed. 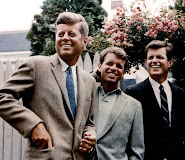 We are proud to announce an exhibition of related materials kindly supplied by Peter Morris including Jack Ruby’s jacket, and a picket from the original wooden fence on the knoll. The conference will be held over two days on the 21st and 22nd of November at the Spring Street Mercure conference rooms in Melbourne. Tickets can be bought for the 21st, 22nd or both days. Now we need to keep them to their word. The Conference is suitable for anyone with an interest in this case, any of the hidden history of the Cold War or the political assassinations of the ‘60’s. Afternoon teas, lunch and a discount on rooms at the Mercure for attendees. Tickets can be bought at http://www.reopenkennedycase.org/rokc-symposium-2015 but seating is limited so get in quick.